I am a freelance web developer. I strive to make my websites clean, minimal, and responsive. These are the design principles I live by. 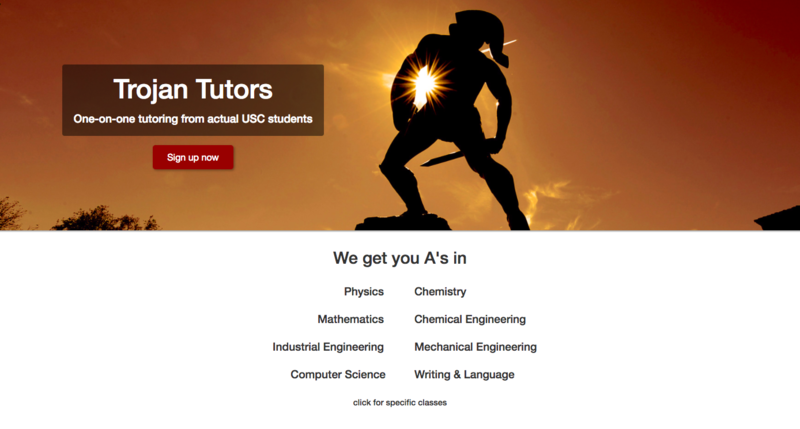 Trojan Tutors is my own tutoring company. I created this website to collect student sign-ups and market the company. I used Bootstrap for the layout and jQuery for the animations. I'm very proud of the UI on this site. 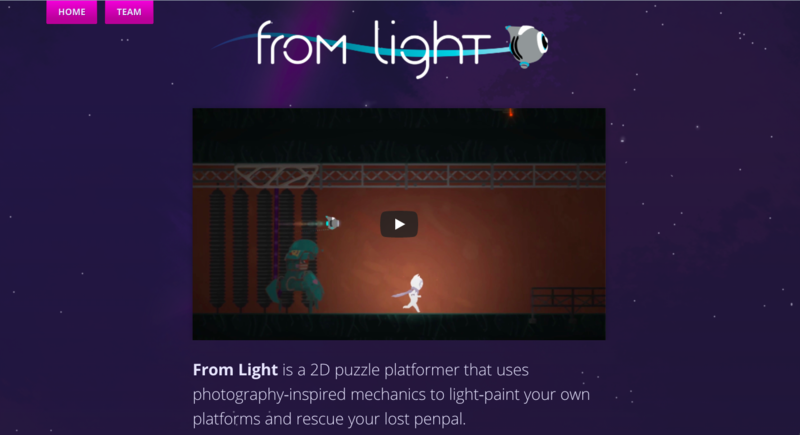 Go ahead and click around, check out the fun animations! 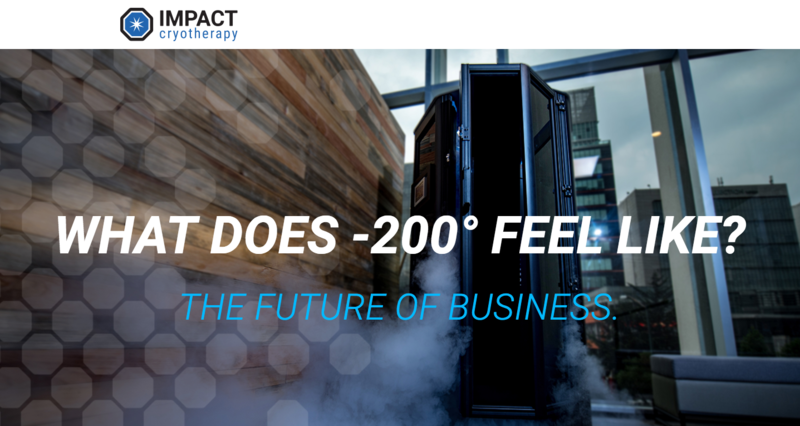 Impact Cryotherapy is a cold-air suana distributor. 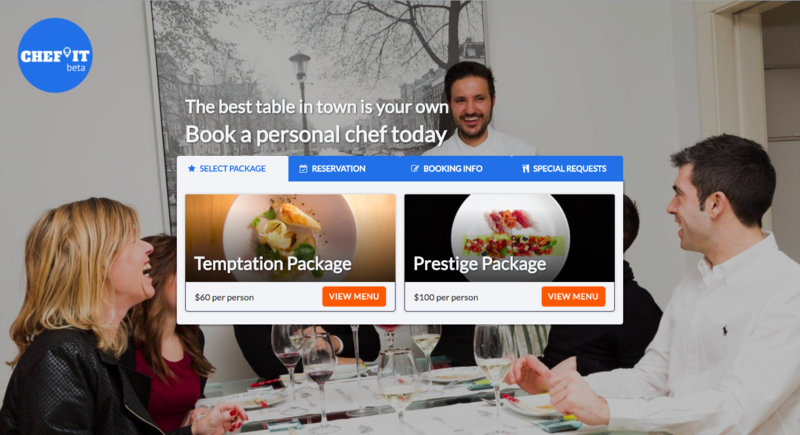 I developed the landing page for their marketing campaign targeted at entrepreneurs. The page was built on Wordpress, but most of the styles I did by hand. I also created a signup form which I integrated with Survey Monkey. From Light is an indie game developed at USC. I was asked to update their website. I created a form, integrated a video, and added a credits page. The design is ethereal yet simple, mimicking the design styles of the game. 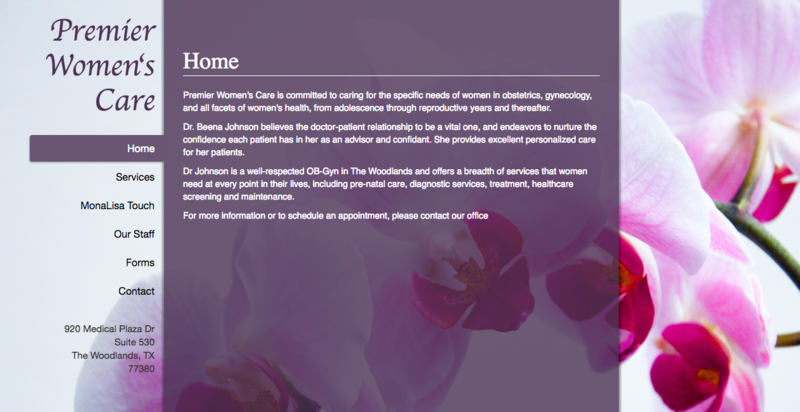 Premier Women's Care is a prominent OB-GYN located in The Woodlands, Texas. As the homepage for a medical service, I desiged the site with accessibility and ease-of-use in mind. The site is single page with a speedy tab-based navigation. It includes contact information, available services, and important forms and documents.